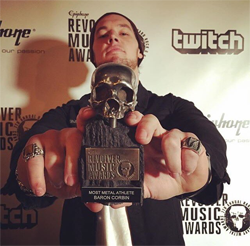 Baron Corbin at #38. Corbin pulled Elias out of the ring and sent him into the steel steps. Corbin with Deep Six to Mysterio. Titus O’Neil was out at #39 and tripped while making his entrance and slide under the ring then Roode and Strong were eliminated. Dan Matha out at #40 and Braun Strowman #41. Big E, Slater, Babatunde and Dan Matha eliminated by Strowman. Tye Dillinger out at #42. O’Neil was eliminated as well as Dillinger by Strowman. Mysterio, Corbin, and Orton eliminated by Strowman as well. Curt Hawkins out at #43 and he was chased Hawkins up the stage to bring him back into the ring and eliminate him. Cena hit an AA to everyone except for Styles, who stood there watching it all. They lock up and Cena hit a shoulder block. Styles with some kicks then they traded right hands. Cena went for the AA but Styles blocked and hit a series of kicks. Cena went for it again but AJ blocked and landed on the apron. The other superstars got on the apron and circled Cena. They all jumped him and tossed him to the floor. This led to everyone brawling. Styles rolled up Corbin for 2 then sent him to the floor. AJ rolled up Zayn for 2 then sent him to the floor. Owens with a knee strike and went for his powerbomb finisher but that was blocked and hit a facebuster to KO. AJ with a series of strikes to Corbin then a neck breaker to Ziggler. AJ with a strike to Zayn and a reversed DDT off the second rope for 2 as KO broke it up. Owens put the boots to him and went to the top rope but AJ knocked him down. Owens fought back and Corbin sent AJ to the floor. Corbin with a big boot to Zayn but Cena clotheslines Corbin and Ziggler hit a DDT to Cena. Owens with a splash off the top rope to Ziggler for 2 as AJ broke it up. AJ and Owens exchanged hands. AJ caught him with a head kick and went for his finisher but Owens hit a back drop to AJ to the floor. Corbin hit a backbreaker to Owens and Ziggler hit a Zig Zag to Corbin. Cena with a series of shoulder blocks and then the side slam. Cena hit another side slam to Zayn. Cena with double knuckle shuffles to both stars. Cena went for the AA to Ziggler but he blocked and hit the famouser. Ziggler missed a super kick and Cena locked in the STF but AJ broke it up. AJ went for the Styles Clash to Cena but it was blocked and Cena went for the AA but it was blocked. AJ hit his finisher for 2 as Zayn broke it up. Zayn with right hands to AJ until Corbin hit him with a knee strike and sent him to the apron. Zayn sent him head first into the turnbuckle but was knocked down by a right hand when he went for a spring board move. Corbin with a big time clothesline to Owens. Corbin with Deep Six to AJ then blocked a DDT to Ziggler and went for End of Days but Ziggler sent him to the floor. Corbin dragged him out and sent him over the barricade. Corbin speared Ziggler through the glass setup for hockey games. Back at ringside, Owens got two announce tables ready but AJ caught him with a head kick. AJ clotheslines Zayn over the barricade. Shane McMahon watched on from ringside. Cena went for an AA to Owens but Owens got out of it. AJ ran up on the table and Cena hit an AA to AJ through the table. Back in the ring, Owens hit a big boot to Cena then Zayn took out Cena. Zayn and Owens had a stare down then started to argue. Zayn laid down in the middle of the ring in order for Owens to pin him and Owens acted on it but Zayn rolled him up for 2. Owens tossed him into the barricade. Back in the ring, Owens went for a powerbomb on the apron but Zayn back dropped him on the apron. Zayn started taunting Shane and Owens went for a super kick to Zayn but hit Shane my mistake. Zayn hit a DDT to Owens on the floor. Zayn went for a big boot to Owens but Owens hit him with a super kick. Owens with a powerbomb to Ziggler for 2 but Shane pulled the referee out of the ring. Zayn hit Owens with a big boot for 2 as Shane pulled out the referee once again. Ziggler pinned Owens for 2. Corbin hit Cena in the face with the steel steps then to Zayn and Ziggler and Owens. Cena hit Corbin several times with the steel steps. Cena hit the AA to Corbin on the steel steps but the pin was broken up by Ziggler. Cena launched the steel steps but missed Ziggler. Cena with the AA to Ziggler then went for another one but Owens hit a powerbomb to Cena. AJ with a springboard forearm shot to Owens for the win. Roode and Ziggler teamed up on Corbin to start things off. Corbin rolled to the floor to regroup but the challengers followed him and clotheslines him over the barricade. Back in the ring, Roode went for his finisher but Ziggler rolled him up for 2. Ziggler with a missed knee strike and Roode hit a neck breaker for 2. Ziggler dumped Roode to the floor and Corbin caught him with a clothesline. Corbin with a right hand to Ziggler. Corbin tossed Roode into the barricade. Back in the ring, Corbin caught Roode with a clothesline then a big right hand. Corbin worked over the back of Roode for a few minutes while Ziggler recovered on the outside. Roode attempted a comeback with a series of right hand sbut Corbin cut him off with a sideslam for 2. Corbin put the boots to Ziggler in the corner then took him out with a clothesline. Roode fired away with right hands to Corbin then a knee strike followed by a clothesline. Roode with two big boots then an overcastle off the middle rope for 2. Roode with a series of right hands to Ziggler then double boots followed by a missed dive and Ziggler hit the Fameasser for 2 as Corbin made the save. Roode with a powerslam to Ziggler but was caught by Corbin who hit Deep Six for a near fall. Corbin put Roode on the top turnbuckle but Roode fought him off and Ziggler tried to pull him off. Corbin came from behind and hit a tower of doom. Ziggler sent Corbin into the ring post and missed a super kick to Roode, who hit a spinebuster out of a reversal. Ziggler avoided a DDT and hit one of his own for 2 on Roode. Roode sent Corbin to the floor and Roode blocked a kick by Ziggler and sent him into the corner. Roode with the Glorious DDT to Ziggler and covered him but Corbin pulled Roode to the floor to make the save. Corbin with a back breaker to Roode on the floor and sent him into the ring. Corbin hit the End of Days to Roode while Ziggler hit the Zig Zag to Corbin then covered Corbin for the win. Winner: Ziggler – new U.S Champion. 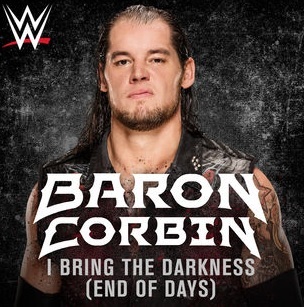 Back from a break and out first comes WWE United States Champion Baron Corbin. We see some of the international announce teams in the arena for tonight’s event. WWE Intercontinental Champion The Miz is out next with Curtis Axel and Bo Dallas. Miz stops and kisses Maryse at ringside as she’s in the front row. Back and forth to start. Corbin is distracted by The Miztourage on the outside. Miz tries to capitalize but it backfires. Corbin blows a kiss at Maryse and tells her that’s how a real man does it. Miz comes back and attacks Corbin. Miz ends up ramming Corbin into the apron and bringing it back into the ring. Corbin boots him. Corbin kicks Miz off the apron, back into the barrier. We get a replay. Corbin keeps control and brings it back into the ring. Fans do dueling chants before Miz takes out the knee to turn it around. Corbin gets sent to the floor but he lands on his feet. Miz tries to come through the ropes as The Miztoruage distracts Corbin but Corbin drops Miz on the floor. Corbin brings it back in the ring but Bo takes out Corbin’s knee while the referee was distracted. Miz with a running knee to Corbin now. Miz keeps control and focuses on the knee now. Corbin blocks a Figure Four. Miz counters a move and takes the knee out again. Miz goes for the Figure Four and applies it in the middle of the ring. The hold is broken and Corbin catches Miz in a Deep Six for a 2 count. Corbin limps but manages to hit a running shot to Miz in the corner. Miz comes off the second rope but Corbin catches him for a chokeslam but it’s blocked. Miz with another 2 count. Corbin goes to the floor and drops Axel with a big right hand. Corbin runs back in and clotheslines Miz. Corbin yanks Dallas into the ring from the apron. Corbin with End of Days on Dallas. Miz comes from behind and rolls Corbin up for a close 2 count. Miz blocks End of Days and hits a DDT for a 2 count. Miz with the “yes!” kicks now. He misses the final kick but hits a pair of running dropkicks in the corner. Miz charges again but Corbin catches him in End of Days for the pin. – After the match, Corbin stands tall as we get replays. Renee Young enters the ring for comments as Corbin dangles his belt over Miz’s face. Corbin says his hand went up while Miz’s mouth stayed closed. Corbin says to everyone in the arena and watching at home, he just shut their mouths too. Corbin leaves with the title in the air as his music hits.